This is Charlie Kauffman, one of the gurus of screenwriting. Listen to the 3 min video here. 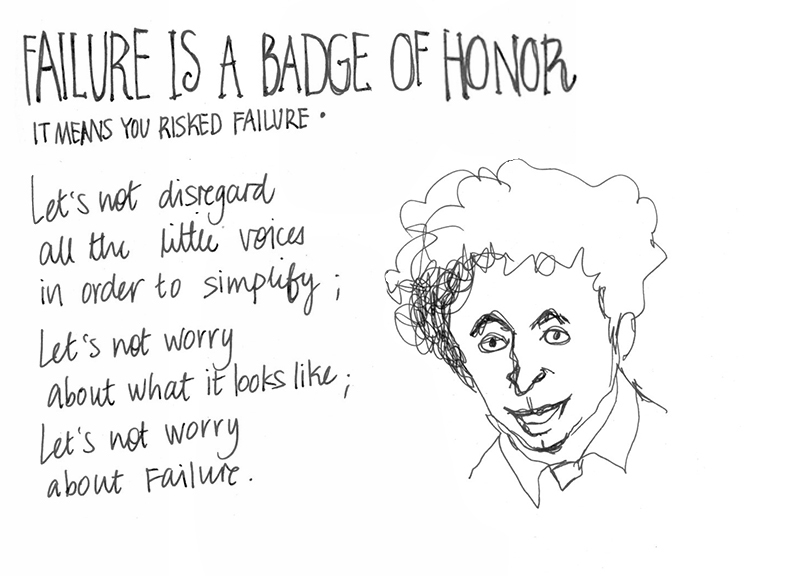 this is so reassuring soo.but the world if going the other way that is ‘no risk-no problem- not failure’ way. but i love this one.